Fraboom is educational website organized to be an interactive museum. Students can learn about the mouth or bugs which are currently Fraboom's only exhibits. There are areas for games, online art making, and a create your own exhibit. The site also has interactive books as well as Fraboom TV which has animated educational videos. Many of the site's resources are free but they do offer more indepth learning opportunities with their paid subscription. 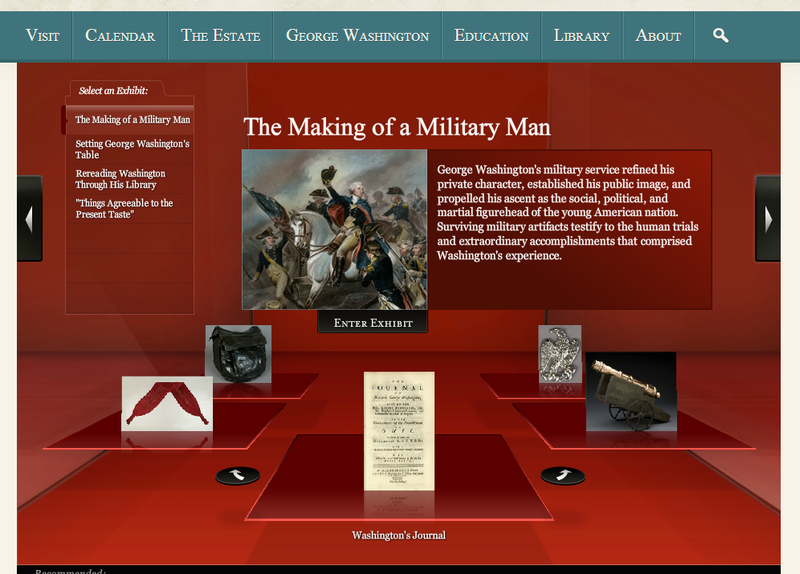 Mount Vernon Online Museum is a place where students and history buffs can discover George Washington. His life, the home where he lived and the things he enjoyed are on display at this online museum. There are four primary exhibits. each with a number of artifacts that provide more information when you click on them. If you want more information, the site does have additional information regarding the man known as "the Father of his country." The Science Museum (U.K.) is a wonderful place to discover the amazing world of science. While the museum itself is located in London, their online museum is full of interesting and fun learning opportunities. You can start exploring the site by choosing subject, people, or museum objects and from their you will be given more options. 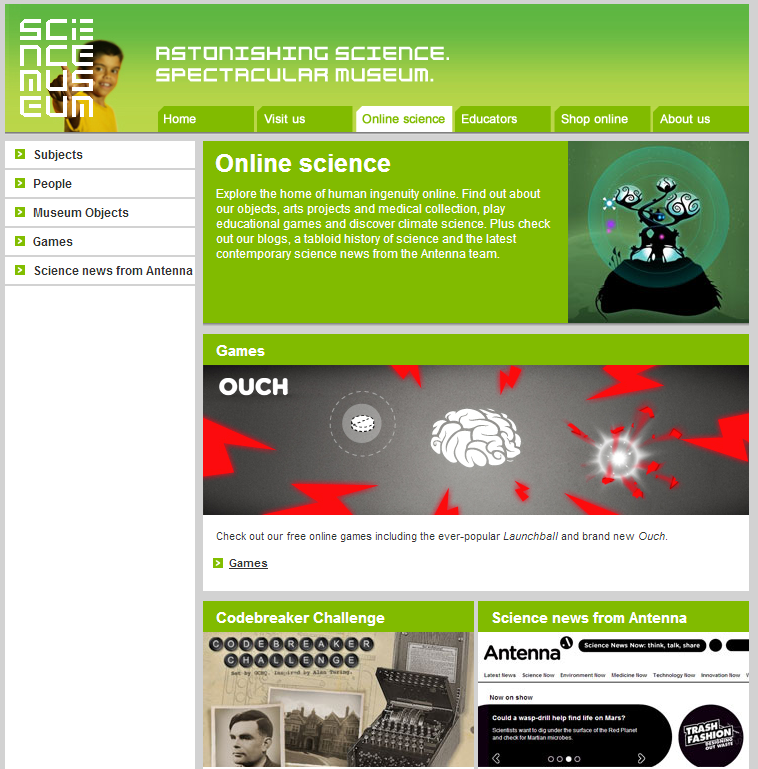 Visitors to the site can also choose to play games or learn about the latest in science news. The Missouri History Museum offers a collection of exhibits related the rich history of the state. 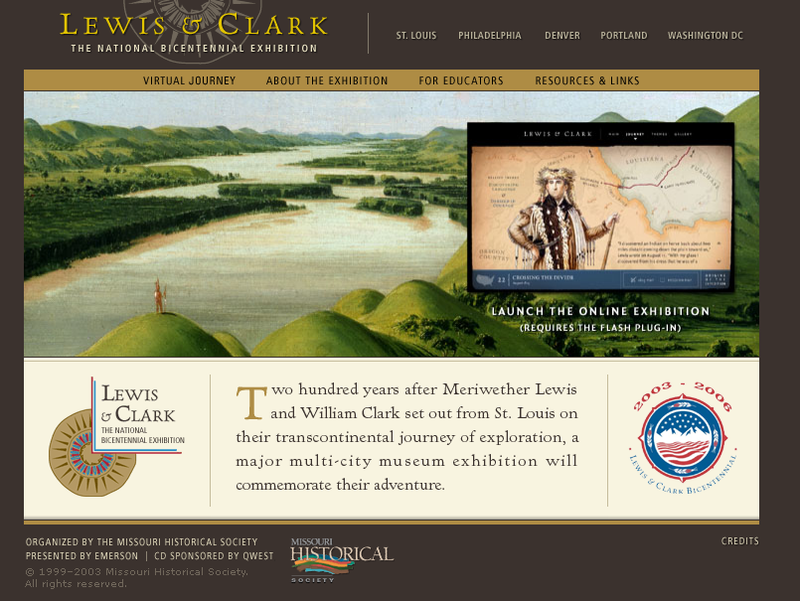 One exhibit in particular drew my attention and that was the Lewis and Clark Exhibit. It offers an detailed interactive learning experience about this important event in American history. Your journey begins by choosing to follow an interactive map where you will discover people and artifacts along your path. Once you have completed the map exploration you can learn more by choosing the themes category or view their image gallery. Note: the exhibit does require a Flash plug-in. The National Women's History Museum offers a large collection of online exhibits where students can learn about the role of women in American history. From war, to industry, to the fight for equal rights, women have always been at the center of change in the nation. 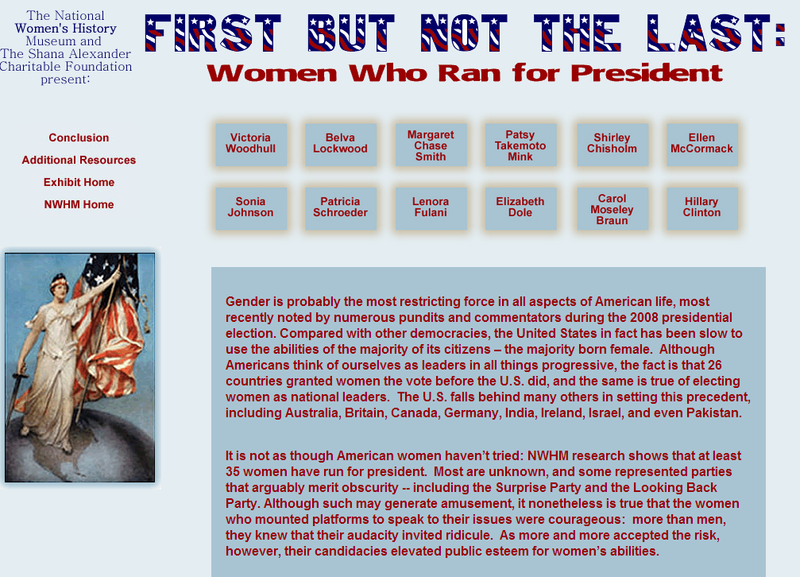 This site offers twenty exhibits with each containing a wealth a information for anyone learning about the history of women in America. 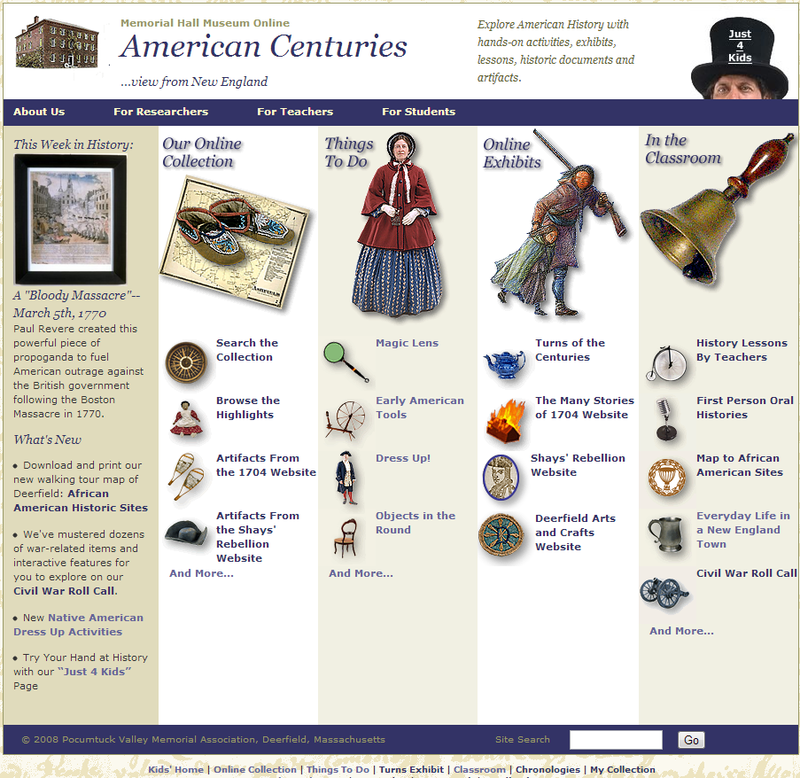 The Memorial Hall Museum in Deefield, Massachusetts has an tremendously engaging website called American Centuries with a wide variety of interactive exhibits for teachers and students. You can watch colonial tools being used or use the sites "magic lens" and read historical documents. The site has exhibits on colonial clothing and objects and there is a section dedicated to kids activities. The site has sections dedicated to the Civil War, Shay's Rebellion, African American history, and so much more. The Memorial Hall Museum's online exhibits are a great resource for students, teachers, and anyone studying American history. From her journal to movies, the tragic story of Anne Frank has fascinated millions of people. Annefrank.org has a special section on their webpage called the Secret Annex Online that allows you to explore the secret annex where she and her family hid from the Nazis. From this site you can explore the apartment and all of the hiding places and learn about all the people involved. After you explore her living quarters you can view videos, read articles, and see photographs as well. 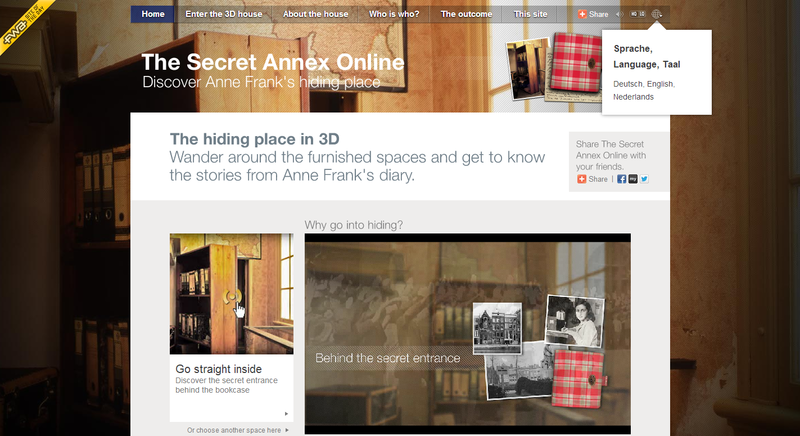 The Secret Annex Online is one of the most compelling sources available to learn about the Anne Frank story. I have yet to come across a site that shares colonial life as well as this site. When you explore Colonial Williamsburg's history section. you can learn about the people, places, life, trades, social classes, food, politics and the list goes on. Each area of interest is accurately described but in a way that students will find interesting. Their vibrant pictures from Colonial Williamsburg are so much more interesting to kids, unlike the drab drawings or painting found on most sites. My favorite area is their food section because it includes the recipes for actual colonial dishes. The site's multimedia area is overflowing with tremendously useful and engaging tools and resources. This area of their website contain a daily jigsaw puzzle, webcams from Williamsburg, today in history, and blogs. There is a download section with wallpaper, screen savers, and even ringtones. Students can learn about life in Williamsburg with their collection of videos, podcasts, and their audio section. Finally, you can send a greeting from their e-postcard section. The final area to visit is the kids section of the website. The kids section is geared toward elementary level students and offers opportunities to learn about the people and history of Colonial Williamsburg in a a more kid friendly way. Thanks for sharing a 8 incredible online museums for students. Every kid is unique and every kids has own ability to learn… some are very brilliant and some has slow learner, for those kids kurt penberg find a solution as sing your name. that product engage kids in musical study.. Informative post! This list of museum is helpful for the readers to developing the knowledge of their kids. Great thanks for sharing this list with us.